WASHINGTON — The U.S. Women’s National Soccer Team hasn’t won a World Cup since 1999, when Brandi Chastain seared the sport into our national consciousness with her game-winning penalty kick and ensuing shirt removal. That singular moment remains the lasting image for much of the country, which has seen the game steadily rise in popularity, but thus far fail to achieve the same financial success as its men’s counterpart here in the states. 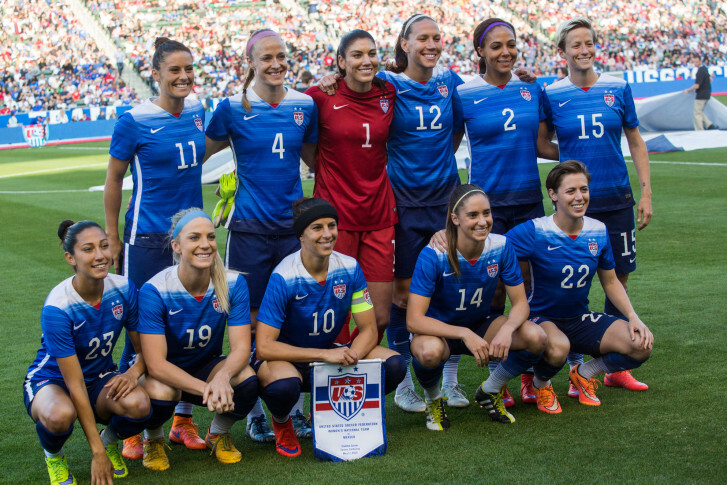 With the 2015 Women’s World Cup kicking off Saturday and the U.S. opening play Monday against Australia (7:30 p.m., FOX Sports 1), all eyes will be on the American women, one of the heavy favorites, to end that 16-year drought. Should they do so, it might be the most significant international victory for U.S. Soccer since that moment on the Rose Bowl turf at the end of the last century. The men’s game continues to grow on the national and international level, as we witnessed with last year’s strong Men’s World Cup television numbers. But the women’s professional leagues have struggled to gain traction day-to-day, putting that much more emphasis — and, as a result, pressure — on the National Team to deliver a golden result in Canada. That expectation is impossibly unfair, of course. But at least this time around it’s equally self-imposed, as a final chance for this generation’s core. The stars are familiar; the storylines too. If you’re looking for headline-making drama, or tropes about personal life turmoil leading to on-field redemption, Hope Solo is back. If you’re looking for the impossibly photogenic, smiling face with the lethal left foot, Alex Morgan looks to be healthy again just in time. If you’re looking for the strong-willed athlete not afraid to do anything to get a championship in her final opportunity, this is Abby Wambach’s last gasp at a Cup championship. The battle has many complicated angles for another indispensable, yet less universally known member of the squad, Alexandria, Virginia native and Forest Park High School graduate Ali Krieger. If you watched it, the craziest game the U.S. Women’s National Team has played in recent history, you probably remember a few things. You might remember where you were when you watched it. You almost certainly remember Megan Rapinoe’s exquisite cross, met by Wambach’s impeccable header over the outstretched hands of the Brazilian keeper as she boomed the ball into the back of the net and the bottom of our hearts. You may even remember Solo, dancing like a kindergartner on the last day of school back at her end of the pitch. You may have forgotten that the goal wasn’t a game-winner, that it only forced the match into penalty kicks. You may not remember that while Solo then came up with a big save, she let three other balls through in the four shots against her. You may very well have forgotten that, with the Americans leading 4-3, one shot from the semifinals, it was Krieger who stepped to the spot and tucked the ball neatly into the lower left corner of the net to send the U.S. through. Needless to say, Krieger remembers every moment of it. Krieger’s final tally serves as a footnote to that memorable game, but her contributions throughout the World Cup were invaluable. She played every minute of all six games, and will likely be relied upon to do the same this time around, to shut down the top scorers the world has to offer. That’s not always the most glamorous job, but it’s hard to say what more she could do to leave her mark on the Cup. Krieger’s story is often presented as one of overcoming physical obstacles, most notably the serious injury she suffered during her college career at Penn State. Months after breaking her leg, Krieger started to feel short of breath, and was admitted to the hospital, where blood clots were discovered in her lungs. She suffered a series of small heart attacks, making the fact that she plays any level of soccer, much less on the highest possible level, already impressive. After the 2011 World Cup, Krieger was preparing to compete in the 2012 Olympics when she shredded her right ACL and MCL in a match against Costa Rica. While she worked diligently to recover, the final team roster was named before she had a chance to prove herself healthy. Another injury very nearly derailed her World Cup dreams this spring. While leaping for a ball on April 10 in a league game in Houston, Krieger crashed into Jessica McDonald and crumpled to the turf with a concussion. 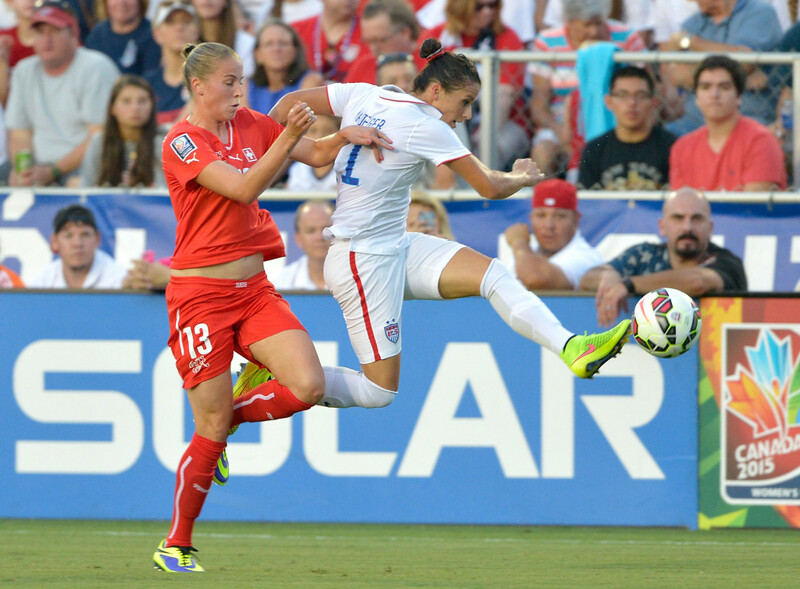 But thankfully, she recovered quickly, and started all three of the USWNT’s send-off games in May. But Krieger wants her legacy to be defined by more than a simple tale of comebacks. She wants to be on the forefront of growing and fostering the game at home. That home means here, stateside, but specifically here in the D.C. area. For Krieger, that fight is a personal one. After playing abroad in Germany for the majority of her professional career, she committed to coming home the Washington area in 2013, and has starred for the Washington Spirit ever since. 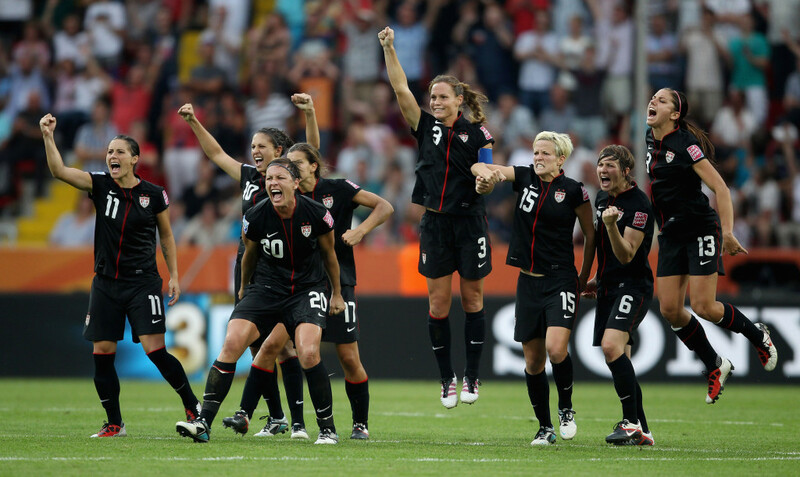 At home, the women’s game has seen ebbs and flows over the past few years. The Women’s Professional Soccer league that formed in 2009 lasted three years before folding, giving way to the current National Women’s Soccer League. The current incarnation began with eight teams, has added a ninth, and is eyeing expansion in at least three other markets. The NWSL has a chance to draw upon the successes and failures of not only its predecessor, but also that of the men’s game in America. While Krieger is envious of the European model, she knows we’re still a long way off in the states, and may need to explore other avenues to grow the game. She thinks if teams partner in strong soccer cities with their already established male counterparts, similar to the WNBA, the footing will be stronger to grow the game. Having grown up here, having played here in her youth and returning as a star, she believes D.C. is one of those cities. She hopes that setting the example of coming back and playing in the states will lead to others doing the same. It’s the same struggle MLS faces, one she’s hoping the NWSL gets ahead of the game on. Six months ago, the biggest news story surrounding the Women’s World Cup was the seemingly sexist and unnecessary decision to have the tournament played on turf, something that would never happen in the men’s game. But just in the past week, the U.S. Justice Department’s dismantling of FIFA’s power structure via criminal indictments has pushed much of the talk of the games themselves to the back page. But all of that can go away with another run like the one the team put together in 2011. The test will come early this year, as the second-ranked Americans have drawn a tough group, with fifth-ranked Swedes and 10th-ranked Australians, alongside 33rd-ranked Nigeria. 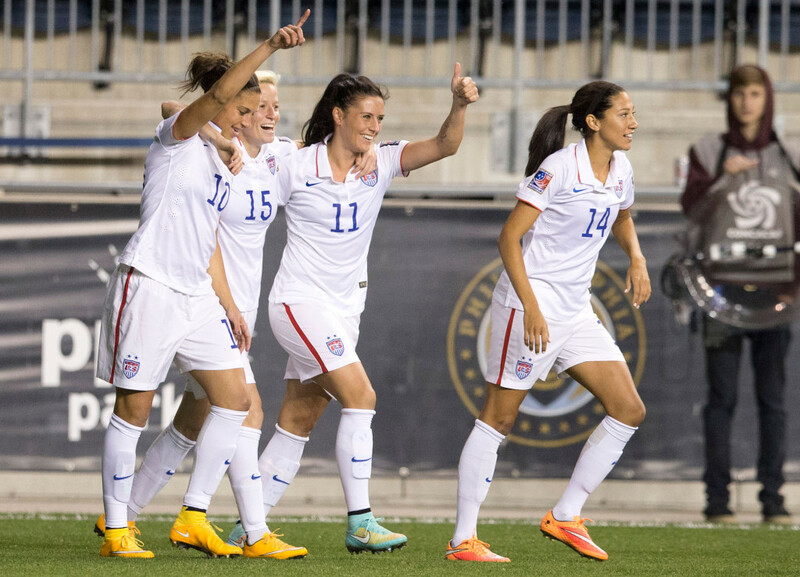 Some might bristle at a Group of Death-like challenge, but Krieger is excited for it. Whether that tough early test will help the U.S. will be seen beginning this weekend. Whether they can take the next step and return to the glory of 2011 and beyond is a whole other story. But as a veteran who has seen it all, who has persevered more than anyone should be asked to, Krieger is entirely at peace, focused on the singular goal ahead of her, and enjoying the moment as best she can. For herself, and for everyone in the next generation, watching at home, waiting for their turn.